A puzzle is a game, problem, or toy that tests a person's ingenuity or knowledge. In a puzzle, the solver is expected to put pieces together in a logical way, in order to arrive at the correct solution of the puzzle. 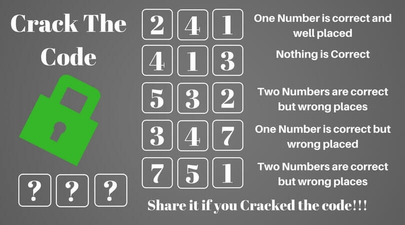 This article has some logical puzzles, Crack the code in the below Riddle & leave your answers in the comment section below. One number is correct and well placed. One number is correct and but wrongly placed. Two numbers are correct but wrongly placed. 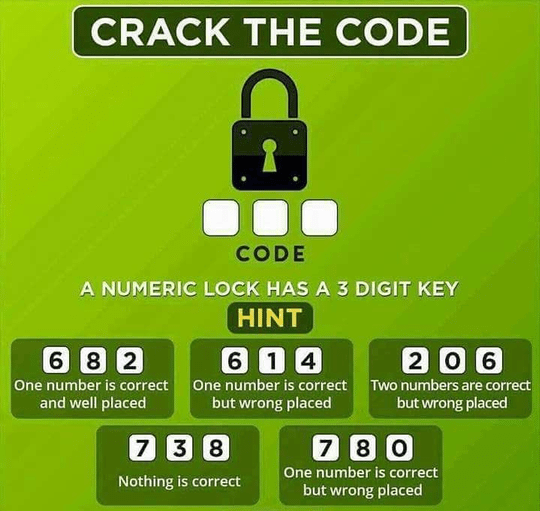 With all the hints given above try to get the 3 digit code. Two number is correct and but wrongly placed. 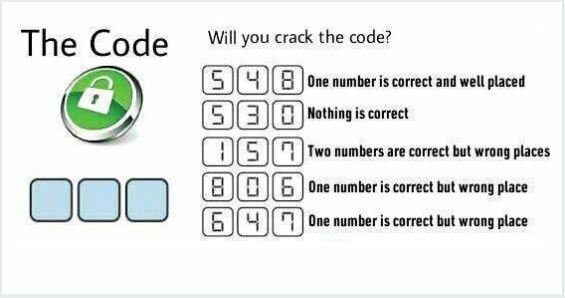 If you get the correct answer, share it with your friends on WhatsApp, Facebook and other social networking sites and challenge them to crack the code. Share your feedback with us here.